Arsenal will this weekend face Huddersfield Town and most of the gooners will be hoping to see Denis Suarez in the starting eleven. 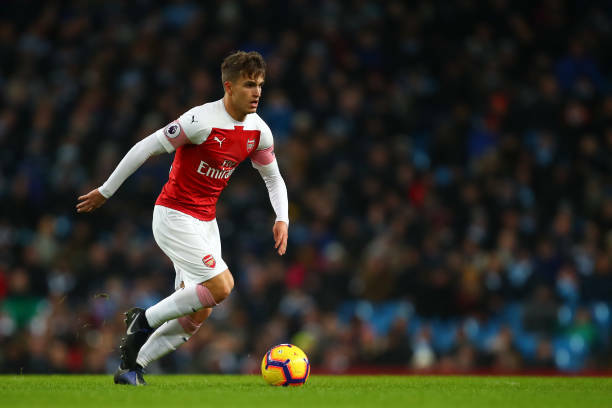 Arsenal signed Denis Suarez on a loan deal for the rest of the season and he was given a debut at the Etihad Stadium but unfortunately, the gunners lost the match 3-1 hence him starting life as an Arsenal player on a sad note. The Premier League returns this weekend and Arsenal will be making a visit to the John Smith’s Stadium to face Huddersfield Town who are currently the worst team in the Premier League. Denis Suarez will be looking to redeem himself in this match because he did not make any impact in the Manchester City game because he came into it when the gunners were already 3-1 down. Arsenal head coach Unai Emery held his pre-match press conference today at the London Colney ahead of their match against Huddersfield Town, and he also talked about Denis Suarez’s chances of being in the starting eleven that plays on Saturday. Emery claims that the Spaniard has improved in the few days that he has been with them. “The first day last week was adaption to us and also with 25 minutes against Manchester City. But already from the first day with us, he was already with good performance, but this week he worked Monday with our coaches and also yesterday.” Unai Emery told Arsenal’s official website.